Nebraska is starting to connect the dots between high-growth businesses, incubators, accelerators, venture capital, and university technology transfer. Nebraska’s interconnected network supplies start-up companies with the capital, mentoring, space, and connections that these young companies need. 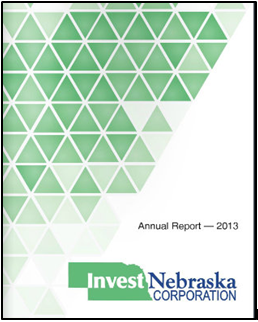 While each organization within this network is advancing its own mission and purpose, the state’s high growth companies are generating taxes, creating well-paying jobs, and attracting risk capital at a rate never seen before in Nebraska. 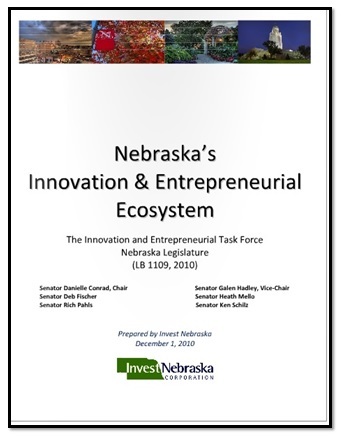 For Nebraska’s entrepreneurial ecosystem, success is determined by continually monitoring the progress of the state’s venture capital investing activity and periodically analyzing the economic impact of early stage companies. 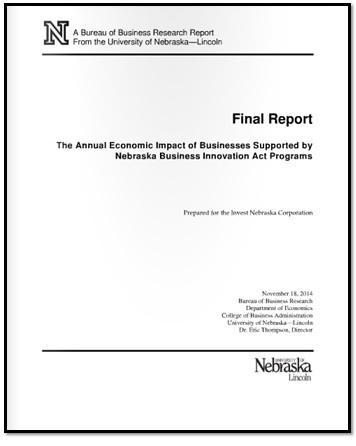 Below are some of the reports and studies that demonstrate how far Nebraska has come and the importance of the state’s entrepreneurial community. 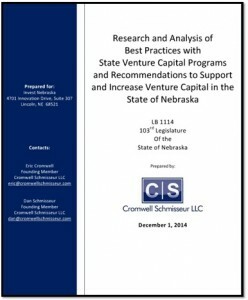 Published by Invest Nebraska Corp.